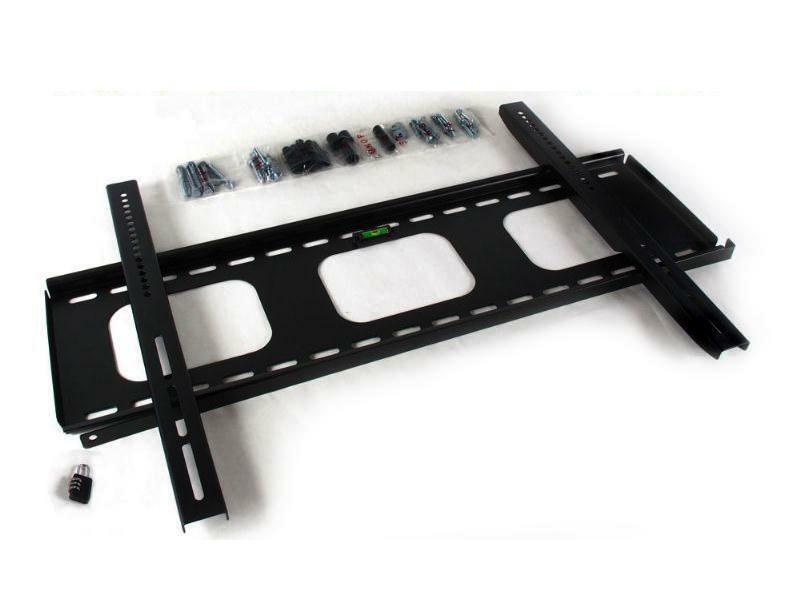 This Plasma/LCD TV display mount is designed to support standard flat panels between 32"- 60" inches with a maximum weight of 175 lbs. (see further compatibility information below). It has been manufactured with solid heavy-gauge steel and powdered coated black for a smooth long lasting finish. The flush mount style of this TV bracket offers a secure, low-profile fit. This bracket will fit standard 32"- 60" inch Plasma/LCD TV displays, including: RCA, Sylvania, Toshiba, Sony, Hitachi, Insignia, Dynex, Samsung, LG, Mitsubishi, Panasonic, SunBrite TV, Apex, Sharp, KURO. Review our "fit guarantee" page for more details on how our models are no risk.